FANG - What Does It Mean? What does the term "FANG" mean as it applies to the stock market? 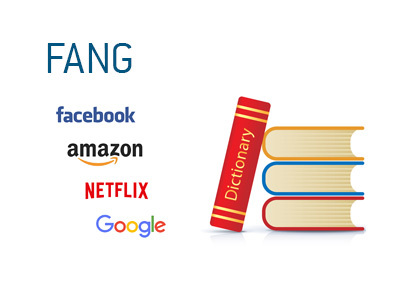 What is the definition of the term "FANG"? These four companies generate an outsized amount of the revenues and profits that are generated by publicly trading Internet companies. If these four companies all report strong earnings, this is usually very good news for technology companies. If these four companies are struggling, their counterparts in the Internet sector are surely doing much worse. Of these four companies, Google is the most valuable, while Netflix is the least valuable. Google, Amazon.com and Netflix all existed during the first "dot com boom", while Facebook was founded in 2004.